The Drum Corps International Tour sets sail this weekend for the Land of 10,000 Lakes as the largest lineup of corps to date converges on TFC Bank Stadium in Minneapolis on Saturday, July 16. Fans will experience performances from 20 corps including a very special appearance by the U.S. Marine Drum and Bugle Corps. 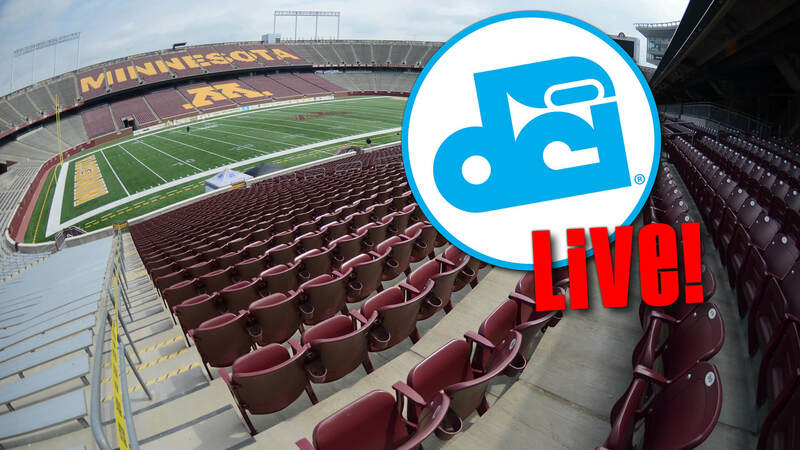 The first DCI Minnesota corps will step off at 4:30 p.m. CT / 5:30 ET / 2:30 PT / 3:30 p.m. MT, and all of the action is scheduled to be webcast through the DCI Live! streaming video platform. • As the presenting sponsor of 2016’s DCI Minnesota event, "The Commandant's Own," the U.S. Marine Drum and Bugle Corps, will travel all the way from Marine Barracks, Washington D.C. to perform during the conclusion of Saturday night's competition. • Featuring the biggest lineup of corps to date on the DCI Tour, Minneapolis will mark one of the first times this summer that Pacific corps like Mandarins, Pacific Crest, Oregon Crusaders and The Academy have a chance to see where they stack up against Midwestern touring corps like the Colts, Troopers and Blue Stars. The Academy outscored the Colts for the first time since 2012 on July 9 in Rockford, Illinois. While the Arizona corps finished more than four points ahead at the event, that lead was cut down to just under two-and-a-half points five days later in the Colts’ hometown of Dubuque. • Can anyone break the Blue Devils’ undefeated streak? The also-undefeated Bluecoats will not be in Minneapolis on Saturday leaving fellow West Coast rival Santa Clara Vanguard as the next closest scoring corps in attendance. While the Devils have been consistently at least two points ahead of Vanguard all season, SCV has been hard at work adding more than a point to its overall score between each consecutive performance in Denver (77.25), Overland Park (78.70) and Sioux City (79.80). • DCI Minnesota will also feature three Open Class corps, one calling this its home state—Anoka, Minnesota’s River City Rhythm. While River City has not performed in 10 days since appearing in Mankato with a score of 44.900, the corps will only need to climb one whole point to match its 2015 score in Minneapolis (45.900). • Two Minnesota all-age corps, the Govenaires and Minnesota Brass will be a part of the lineup on Saturday. Minnesota Brass kicked off the summer portion of its season on July 6 in Mankato, while Saturday will mark the Govenaires’ debut.